Although I am very happy to be starting at the Karolinska Institute in January, my first dream was to study Medicine at a top-ranked university in England. That was the goal pushing me through the International Baccalaureate (the IB) and during two years after my graduation. Hence, I have had to make some adjustments in my mind. This post will help me do so, by letting me release some of the feelings I have regarding my England dream; so, this will be a pretty tough post to read, both in contents and length, but if you want to really understand my thoughts, please bear with me. I went twice to Imperial for interviews, once to UCL and had interviews at two different colleges at Oxford (which all students have there). I prepared hard for the admissions tests to these schools (called the BMAT) and succeeded last year with a brilliant score, earning me the interviews. However, well there I knew something was missing. Cultural bias. Thing is, in the UK interviews for higher education are standard measures to ensure that only the most brilliantly performing students are admitted (there are many factors that have to be perfect: application letter, academics, admission tests, finances, and lastly the interview). In Sweden, only 1/3 of the students at only two school (Umeå and Karolinska) are admitted via interviews – the rest of the country’s medical places are reserved for students ranked only by academic performance. In England – extra-curricular activities and experience count much more. So, although my academics were very good – 40 points at the IB, correlating to the highest possible Swedish grade 20,0 – I was not sure of a place. Luckily, I knew a doctor whose son played football in my team when we were about 13 years old – so I rang him and arranged a shadowing at his private clinic in Flen, a small town close to my home town, Katrineholm, in the summer of 2010. It strengthened my beliefs that medicine was what I wanted to do; I felt a hunger to go to the clinic every day and to learn whatever little I could. Then, I tested my ambitions and flew to Zimbabwe and Gweru, the third largest city in the country. I worked in a healthcare centre and saw HIV patients daily. But this is, and my trip to Tanzania, are two different adventures, see instead Part 2 of my ”Finally Medical School” series. When I came home from Zimbabwe, I worked more than full-time at Burger King because we had just opened. I worked 10-12 hours per day and unfortunately I had 256 working hours the month I had my first UK interview, which hindered my preparations. It did not go too well, because I was unprepared and was way too into the ”Burger King” spirit of talking very shallowly and having the mindset of wanting to sell something (myself in the interview case). I was very sad to not be admitted, but applied again in 2011. This time, I studied several weeks in advance for the BMAT and scored very well. I was so happy. I had applied to Oxford although my IB grades were below the requirements. Still, Oxford was the first school to email me and announce that I had an interview there! That is to this very day one of the happiest days of my life. I posted, with shaking hands, a status on Facebook filled with exclamation marks and phoned my mother in the middle of the night. But, well there I realised I had prepared in the wrong manner. Because, at Imperial they asked very personal questions and more hypothetical situations to analyse. But, at Oxford the interview were only scientific. Only the last of the four sessions (two at St Hugh’s College and two at St Edmund Hall) was at least slightly personal. I was rejected just before Christmas. However, Oxford was never my first choice – UCL was. University College London – the biggest in London, with an international aura and lovely electives at their medical program. It was my absolute dream school. In addition, one of my best friends from the IB studied in London and hence we would have lived together. But, once again I failed. This interview was, in retrospect, so simple and personal that I should not have prepared at all. But I prepared too much – I memorised an answer to ”Why do you want to become a doctor?” which is basically the worst thing you can do. And, when I received the feedback from the university after the rejection one of the first comments was that I seemed to lack the real passion for the profession – probably because my answer as to ”why” sounded rehearsed and fake. I still damn myself for having memorised – I should just have been honest, not tried to say what I believed they wanted to hear. I was not fake, just overly-prepared! Worst thing was that at UCL you only get one interview, after that you cannot re-apply there. Disappointed, Imperial did finally email me about a new interview. One year after my first failure, I got a second chance, the last interview for the 2011 application. But, I was too disappointed because of the UCL rejection. That sadness must have shone through. I did not want to go to Imperial – I wanted to go to UCL or Oxford. Also, I made a stupid, stupid mistake: when being asked about IVF, I said there should be an age limit to it, but the thing was that I by some stupid reason thought and spoke of a lower-age limit, not higher. I did not get in. So, my England dream was crushed. Luckily, I did not go home for nothing. I had before the interviews applied to a French course in Nice, France, which I completed between January and June of 2012 and scored the highest grade, VG, in. Had I not had that course, I would have gone mad. Did I doubt myself? Yes, who would not have? Did I doubt my dream? No – I knew what I wanted. I was just not sure if the interviewers thought I would make a good doctor because all so far had turned me down. But, from fantastic support from my friends and family, I gathered the strength to carry on trying. And now, I was about to study Physics, which I did not study at the IB but which was required at all Swedish universities. My dream school in Sweden was the Karolinska Institute, which I ironically had got the best picture of when I read BBC articles on health in preparation for the UK interviews. I applied to England this fall, the fall of 2012, with a very strong application. However, I studied the two required Physics courses simultaneously, and they are very hard (the second is considered the toughest high school course in Sweden by many) just before the test and had no time to revise Maths, Biology, and Chemistry, nor revise old tests, so I scored worse than the two previous years, even so bad that no UK universities would want me. The great disappointment and failure of rejection has haunted me for a long time. It does not get better since my friends in London studies International Relations at London School of Economics and another classmate from the IB actually got admitted to Medicine at Oxford the year before I had my interviews there. As soon as I hear from them or see pictures of them at their universities on Facebook or read about British universities, I am reminded. I will always regret not getting accepted by Oxford and UCL, because those are constantly ranked among the top 10 in the world (as is Imperial!). In the world! And, to me it was not impossible; I did have my chances, and while I failed, my classmate succeeded. That is, to me, proof that it was not impossible, but that I did not perform well enough according to the interviewers. And that notion, if any, is the sign of failure. I know that I probably have offended most people by indirectly, not by meaning, having said that no other universities but the very best are worth anything. That is not the case! But, for me, since I have had the chances to get into the very best, anything else would be a performance failure. You might have felt the same in my position, and I am sure that everybody with high goals in their lives have missed opportunities they regret. In the end, though, do not take me too seriously because this post does not apply to you, only to me with my own privileges, challenges, opportunities, and hardships throughout life. I feel that I, with a great amount of ”deserved luck” (yes, I believe one earns his or her luck) I could have got in. Now I did not, hence I do not deserve it. Therefore, I was eased when I saw that I had got into the Karolinska Institute. I needed needed to be admitted by a university with a good reputation, just because of my high goals, earlier explained. I am not solely a status hunter, but I also know that it is not a coincidence that the majority of the best professionals are made at the best institutions for their profession (just look at Nobel alumni). In the end, and this I realise now that I write, I can still be among the very best. And, so can probably you in whatever field you want to work. Now that I have ransacked myself, I know that I have all the opportunities in the world to achieve my highest goals. the Karolinska Institute is one of the best in the world, and if I just can fight and study hard now, perhaps I can use that quality to propel myself into a good career. You know what? Oxford, UCL, and Imperial, you will regret that you did not admit me to your schools, because I will fight and I will become one of the best in the future. I will stay determined to my life goal, i.e. working in low-income countries, and study hard. To get into those schools, one has to be perfect in so many different step, and I did well for the majority of the steps and am proud that I reached so far! And if I still want to study in England in the future, I can always apply to a Master’s degree in Global/International Health at both UCL and Oxford, both world-renowned for their work with global health issues. Now it feels good. My England dream is actually not dead, but, really, it is no longer my main goal! I have got into the best university in Sweden, which holds a brilliant reputation overseas, and now it is up to me to prove myself worthy. If I manage to do so, I can become the best. Where you study means nothing if you do not fight for it. However, since I want to fight, I believe that my knowledge of the ‘Swedish system’ will help me to become a better doctor than all the foreign elements I would have experienced in England; and, with the Karolinska as a base, the whole world lies open. Now, as I write, my regret has decreased. Right now, I do not care that I failed in England. Sweden will be perfect for me, and if I want, I can do research or work abroad in the future, but for the moment I know I will get a fantastic education in a great country and at a world-class university. Gosh, now I feel good! 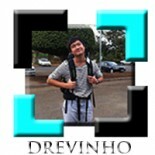 This entry was posted on 20 december, 2012 by drevinho in Personligt/Personally, T1 Karolinska Institute and tagged england, great britain, imperial college london, interviews, karolinska institute, ki, london, med school, medical school interviews, oxford university, ucl, uk, united kingdom, university college london, university interviews.